Are you throwing a bachelor party and looking to take things up a notch? Technology offers many gadgets for a smoother, simpler event. Even if the groom doesn’t have an interest in gaming, there are plenty of devices that can help add some flair to the night or weekend. From giant, inflatable movie screens to small, portable speakers, technology brings things to a whole, new level. Parties and music go together and even small speakers blast the sound. If the party is mobile, take the music with you with Bluetooth technology. For instance, T-Mobile’s Ultimate Ears can go anywhere you can, even the pool. 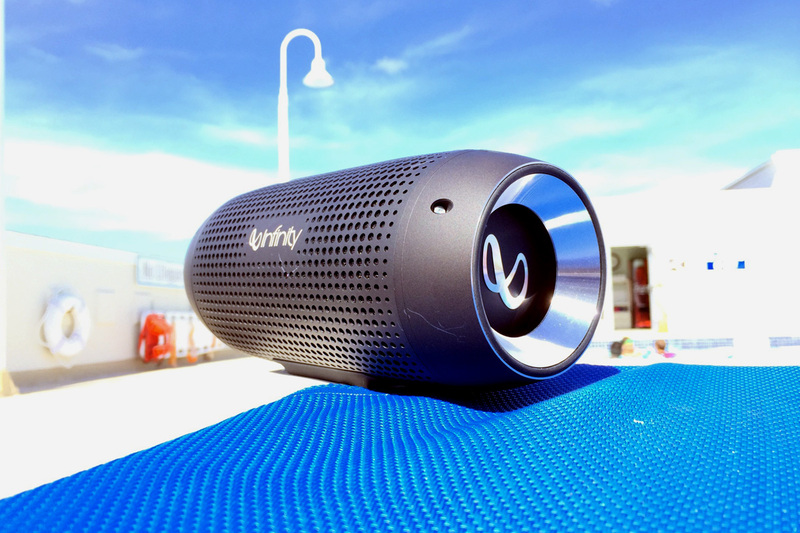 These waterproof Wonderboom Bluetooth speakers offer excellent sound, not to mention that heart-pounding bass that everyone loves to jam out to. The compact speaker allows you to stream music from your tablet, phone, or voice-activated devices. It seems all music sounds better with good speakers. For even more fun, combine the speakers with a backyard theater system to produce an instant movie night without the hassle of going to the movies. Inflatable screens and HD movie systems can make anywhere a theater, even around the pool. Or you can put the screen in the driveway and add cars for an instant drive-in movie theme. If you don’t want to invest in a screen, just use the side of your house with a home movie projector or use a large white sheet and hang it on a wall or clothesline. All your techie devices need a source of power. If the battery runs out, try the solar-powered umbrella stand USB charging station. The umbrella provides shade and power for several devices whether an outlet is handy or not. There is even technology for ridding your party of unwanted guests. Bug-repellent lanterns control flying insects without an irritating zap or unpleasant citronella scent, plus they illuminate the outdoors. If everyone loves the outdoors, how about a camping weekend? Technology innovations bring city comforts to the wilderness. Try a technology-equipped portable grill designed with a battery pack USB power station for charging your devices. Cook, listen to music, watch a movie, and charge your phone, all at the same time. Need a tent? Get the all-in-one waterproof jacket, sleeping bag, and tent. Wear as a jacket, unzip, and you have an instant sleeping bag. Then deploy the tent over your head for a warm and dry night under the stars. If you would rather have a bigger tent, get an inflatable tent that sets up in minutes, then stores in a small, portable bag. No more bar hopping with robot technology. 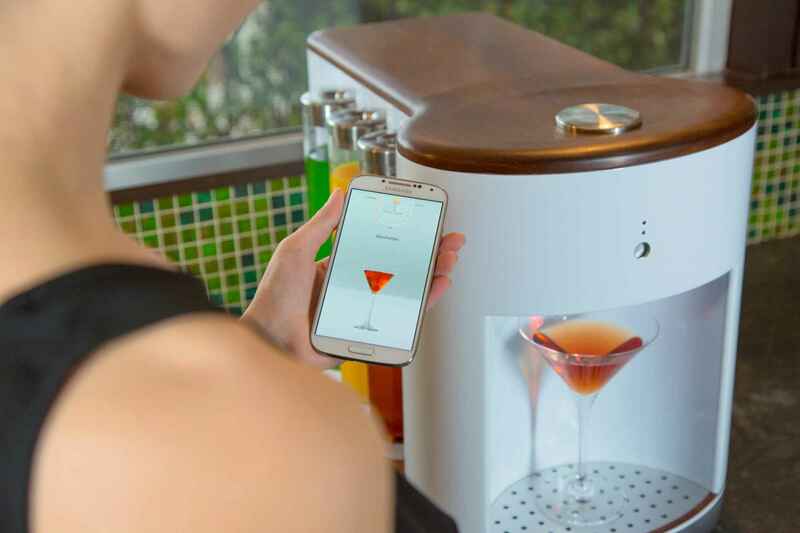 The recently introduced Intelligent Robotic Bartender mixes 300 different cocktails. Use the touchscreen or order a drink through a smartphone app. If you guys prefer going out, ask the attendees to load an app like Venmo that divvies up the bill. Some apps even deduct the money from a PayPal or bank account. Don’t let a deadbeat riend ruin the festivities saying he forgot his wallet. Share the memories with others using a wireless printer to interact with your smartphone. Instant pictures are printed at the touch of a button. Rather not print? Share pictures with all your buddies through an app that creates a party album for everyone. 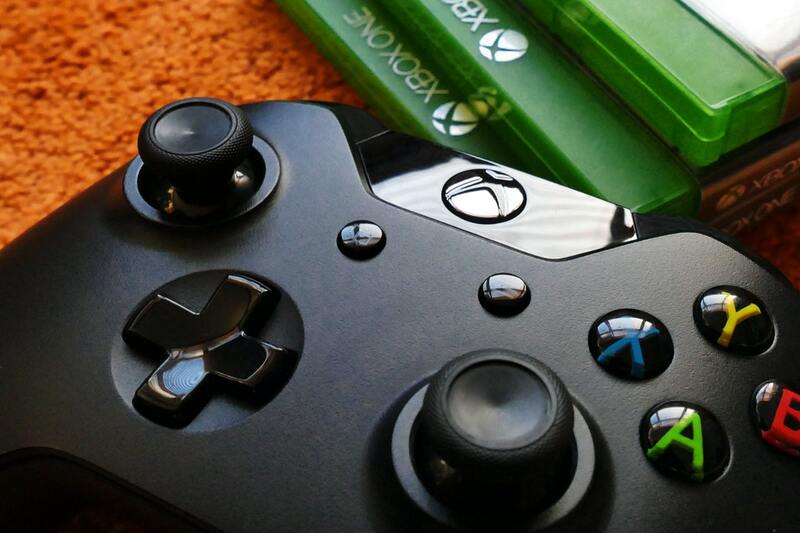 If gaming sounds like fun, bring the controllers and spend a weekend playing a host of games. Don’t just sit. Add some physical workouts with Kinect, Wii, or Move. Hook up laptops to a fast WiFi internet connection and turn your party into a local area network. This allows you to pit multiple players against each other. There’s nothing like a little competition to spice things up. Want to make the games more lifelike? Add some virtual reality (VR) goggles and become part of the game itself. Originally costing hundreds of dollars, new VR glasses start at $100. So, no matter where the party is or what theme you choose, technology adds to the celebration. Incorporate high-tech into the bachelor party high-tech and relax and enjoy the fun knowing everything is at the push of a button.